Once you are comfortable with the controls, you can head to the lobby counter and speak to one of the women wearing the green dresses. 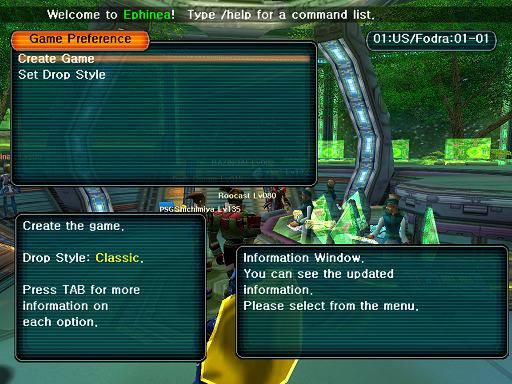 With the default controls, you will hit ENTER to speak with them. You will be presented a menu in which you can organize a party, transport to a different ship or access team functions. We will only be covering organizing a party in this guide. Selecting to organize a party will give you the option of joining or creating a party. 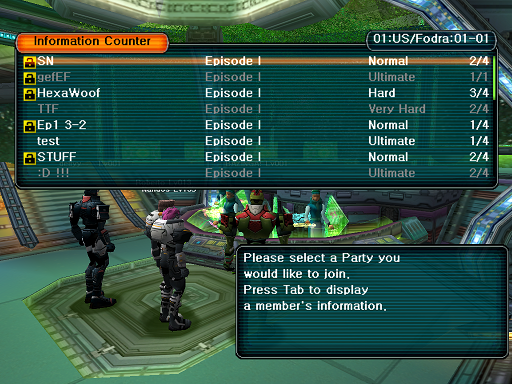 Selecting to join a party will bring up the game list. You can browse the list of currently going games and join one in which you meet the criteria for. Some games may not let you join them if you don’t meet the level requirement for the difficulty mode or if there is a quest in progress. 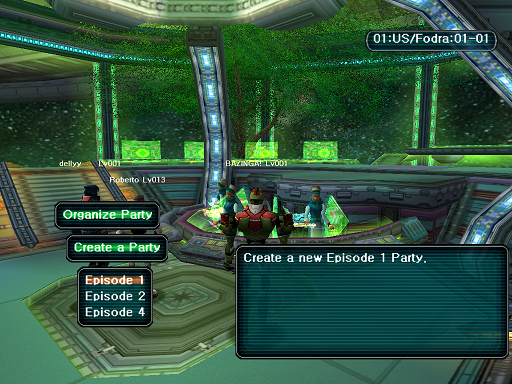 Selecting to create a party will bring up the episode list. 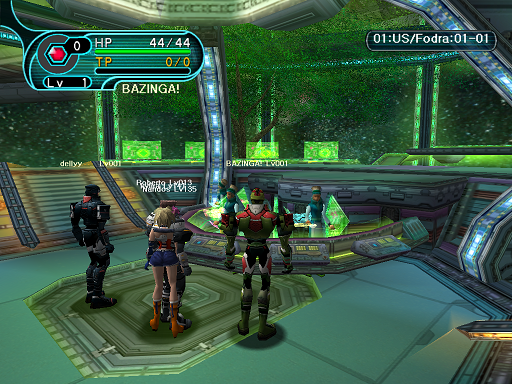 PSO consists of 4 episodes, with the 3rd being a card game which can only be played on the Nintendo GameCube. The story of Episode 3 comes *AFTER* Episode 4, so you will be able to understand Episode 4 just fine. In terms of difficulty, it’s better if you go through Episode 1 first, then Episode 2, and, finally, Episode 4. You can set your game name, the password required to join your game, the play mode and difficulty of your game. 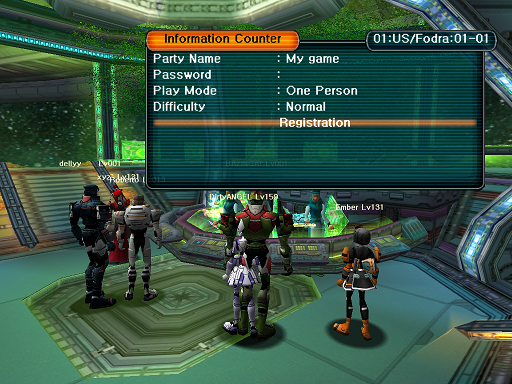 Besides the normal style of play, there is Challenge mode, Battle mode, and One Person mode. Challenge mode is a sort of time attack mode with unique maps and monster spawns, where players are given set equipment and levels and expected to reach the end without dying too much. Completing it with a low clear time can lead to decent rewards. Battle mode, on the other hand, is where you fight against other players in different arenas with different rules. One Person mode, is just that, the normal game, but with weaker enemies, and different quests more suitable to play solo. One Person mode is the mode you should play on, to get the ropes, before proceeding onto the normal multiplayer mode. When creating a multiplayer game, you will be presented with additional game creation parameters. 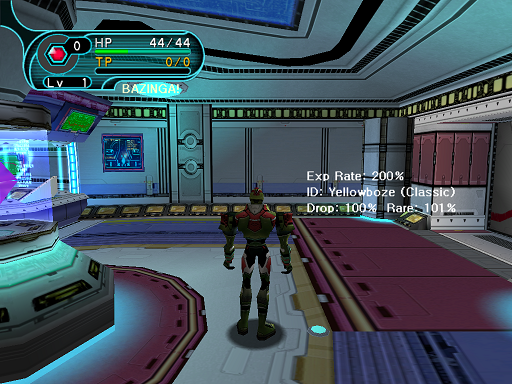 On Ephinea, you can set the drop style of a multiplayer game and, when there is an event in progress, whether time attack mode is enabled or not. You can press TAB on this menu for a more in-depth explanation of the differences in drop style modes and what time attack does. Once you’ve selected and confirmed all of your game parameters, you will appear in the Hunter’s Guild on Pioneer 2.